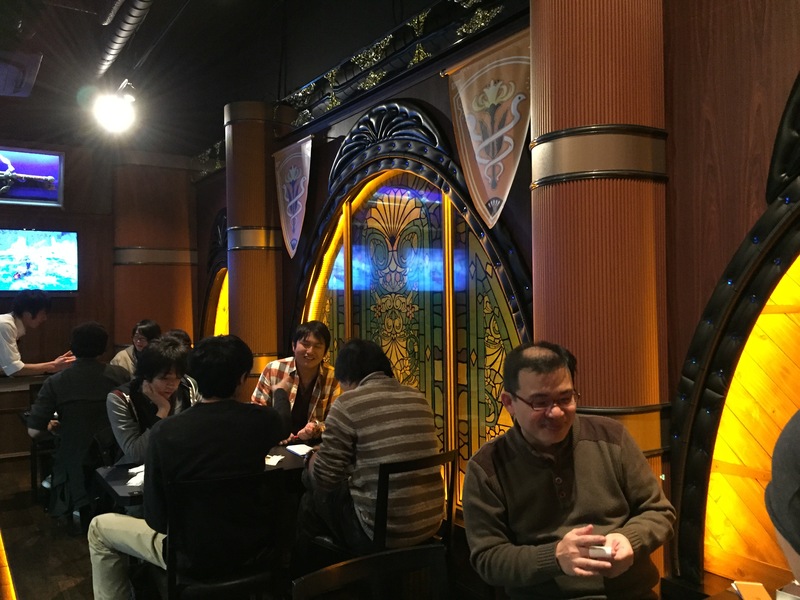 I went to the Final Fantasy restaurant in Akihabara, Eorzea cafe. It’s based on the world, Eorzea, from Final Fantasy XIV and it’s pretty slick. 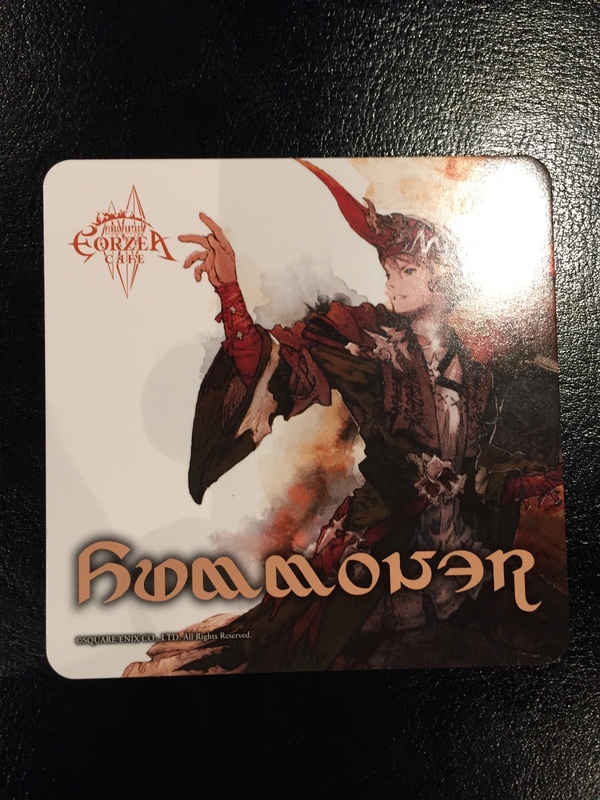 As a long time fan of the Final Fantasy series and a brief player of XIV online, when I heard the cafe opened up I bought a ticket and took the trip to Tokyo. I was not disappointed. 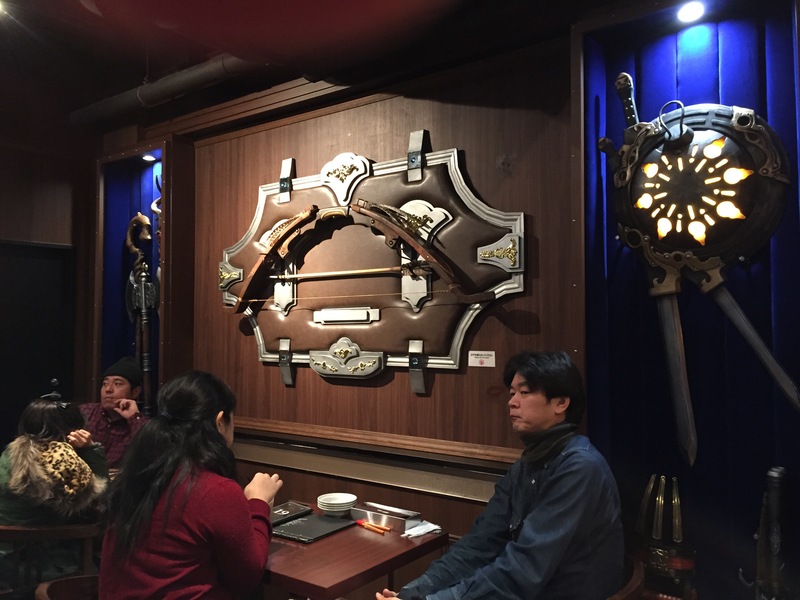 As I mentioned, the place is themed after the world Eorzea from FFXIV. 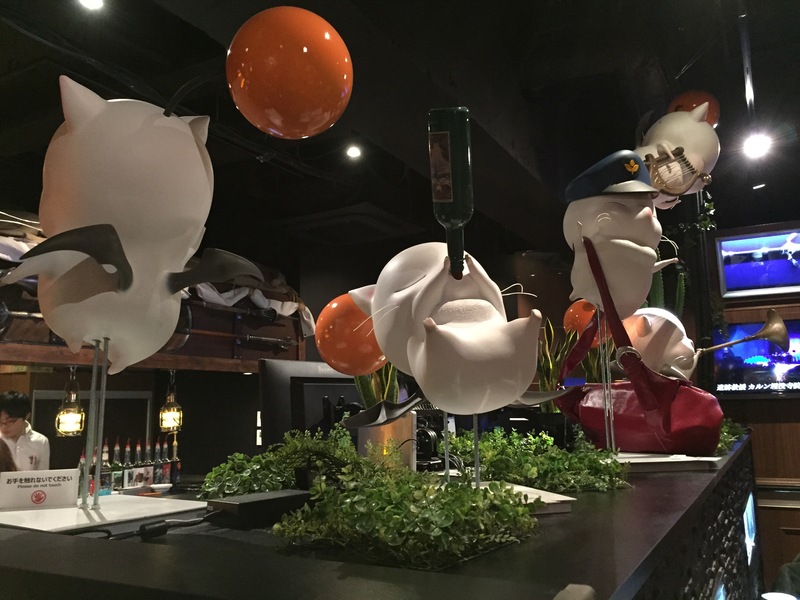 The decor is alight with weapons, flags, and characters from the game. Add in some mood music from the series and you have an atmosphere any fan of the Final Fantasy or fantasy in general could enjoy. If you want to make an appearance in Eorzea, you’ll have to understand a fair bit of Japanese, unfortunately, since reservations are purchased (yes, purchased) though a system where you buy a ticket (¥1,000 per person) for designated times. You can then pick it up at a kiosk at a local convenient store. At least that was how I did it, anyway. One ticket buys you a seat and a drink. Since drinks are around ¥600 a piece, think that tickets cost ¥400. 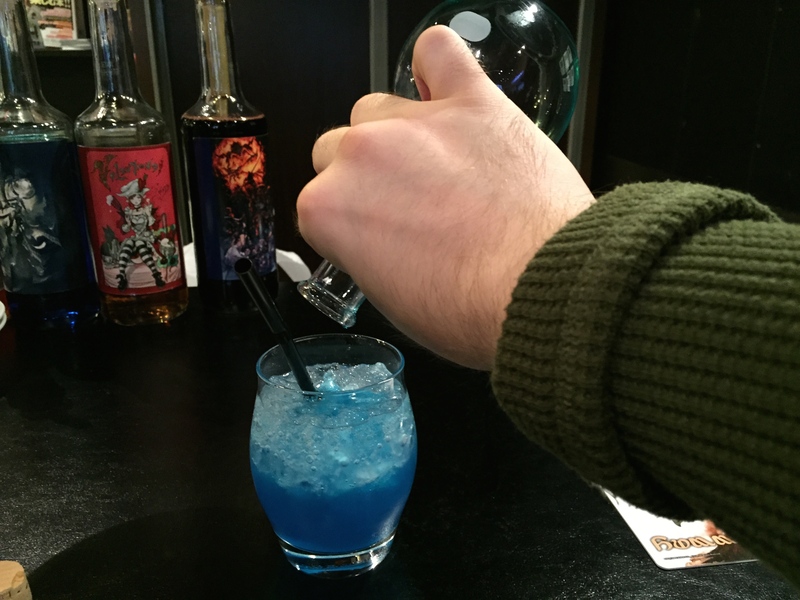 Eorzea isn’t cheap, but the drinks are great. 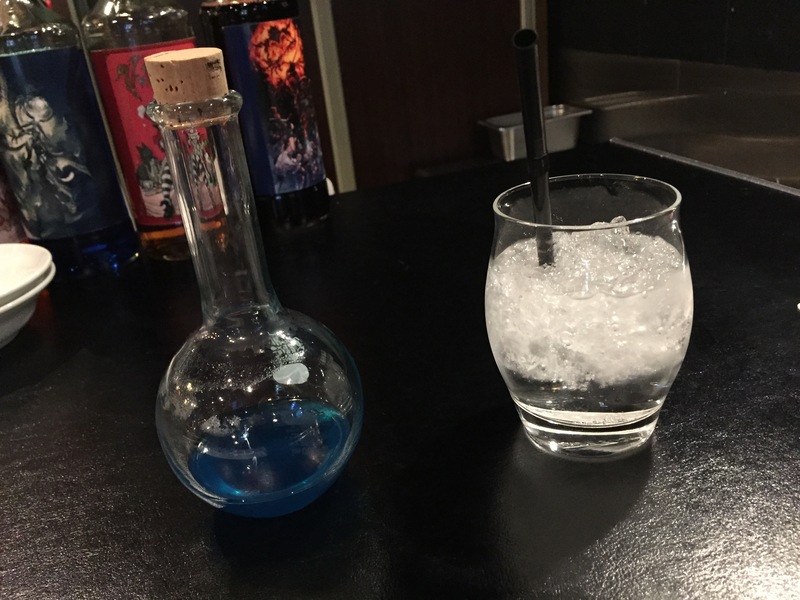 My HP was a bit low, so for my free drink I got the potion. A very good, non-alcoholic drink. 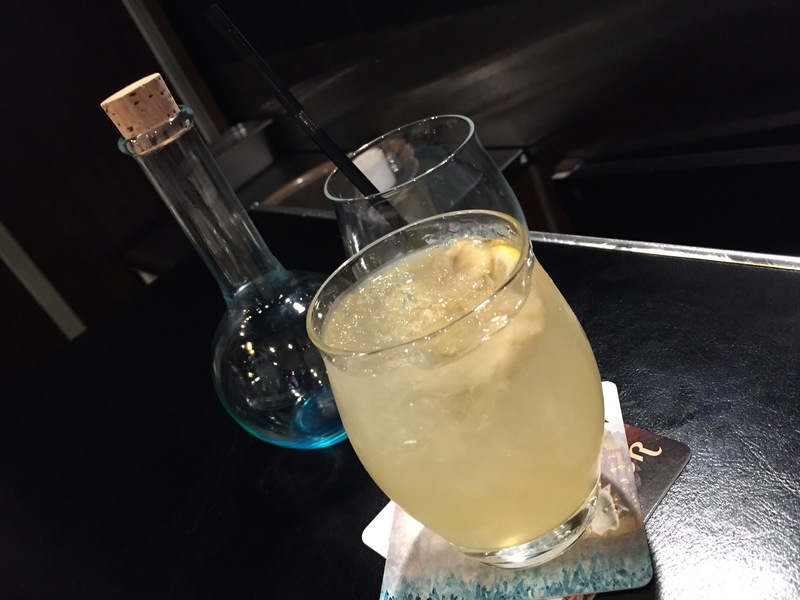 The menu has alcoholic and non drinks, so for those in need of some MP, the ether is a citrusy drink with a kick. And the food was…good. Not great, but good. 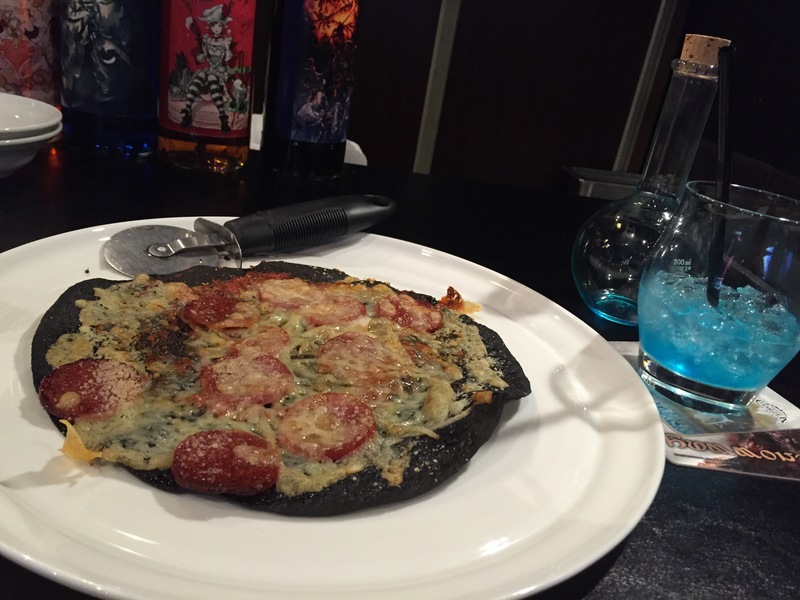 Most of it is based off Final Fantasy characters, which includes Leviathan noodles in blue stock and black, Ifrit pizza. And Cactuar Sweets. 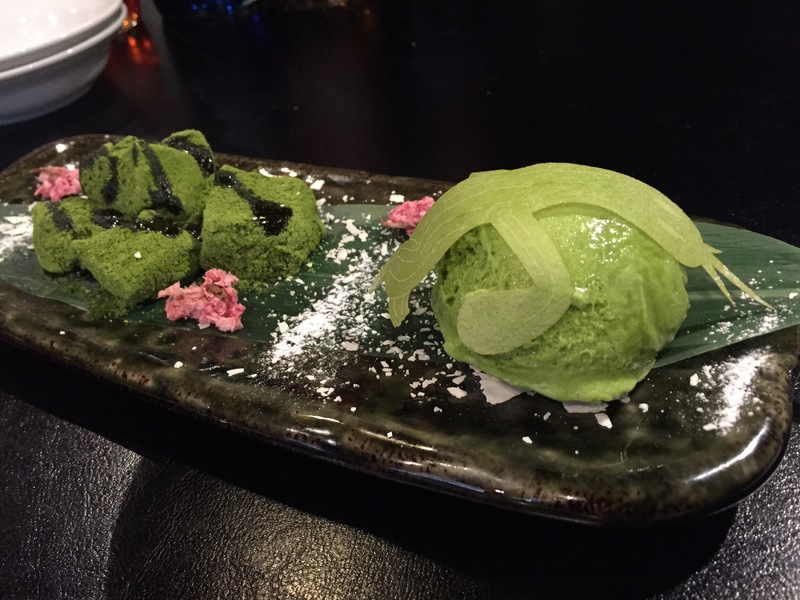 That’s green tea mochi and ice cream. So I had a good time. 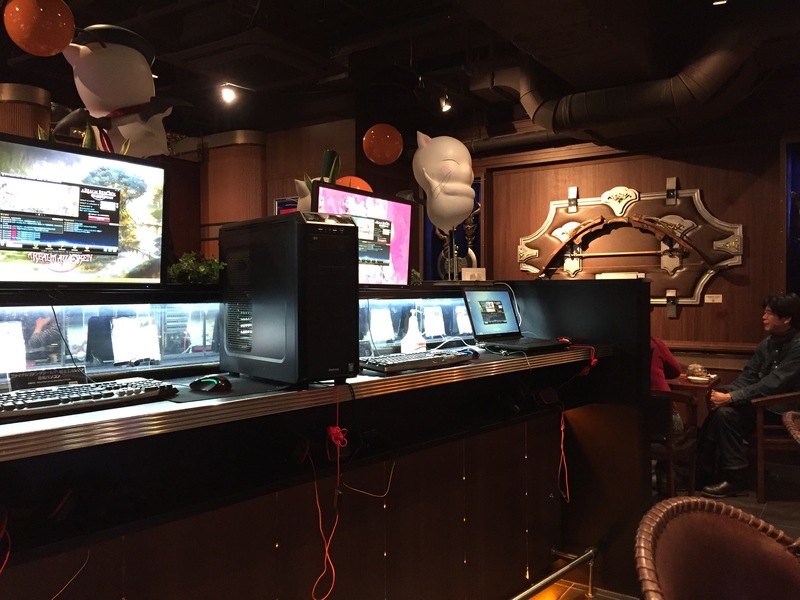 Since Eorzea cafe is popular among players of Final Fantasy in Japan, your ticket is only good for two hours. After that, it’s time to leave. Not that the time limit is a problem, mind you. Two hours is plenty of time to eat, drink, and enjoy the scenery. That is, of course, unless you plan to log onto your FFXIV account at the computers available for just that purpose. But since they’re on the Japanese servers you might have a little trouble if your character is not. Anyhow, I love Tokyo for its theme cafes. And it was a real pleasure to go to a cafe based off an online game that I once played. (And then I had a son, which left no time for online games.) But a day trip to Tokyo isn’t out of the question, should my wife agree to look after the boy for the day. 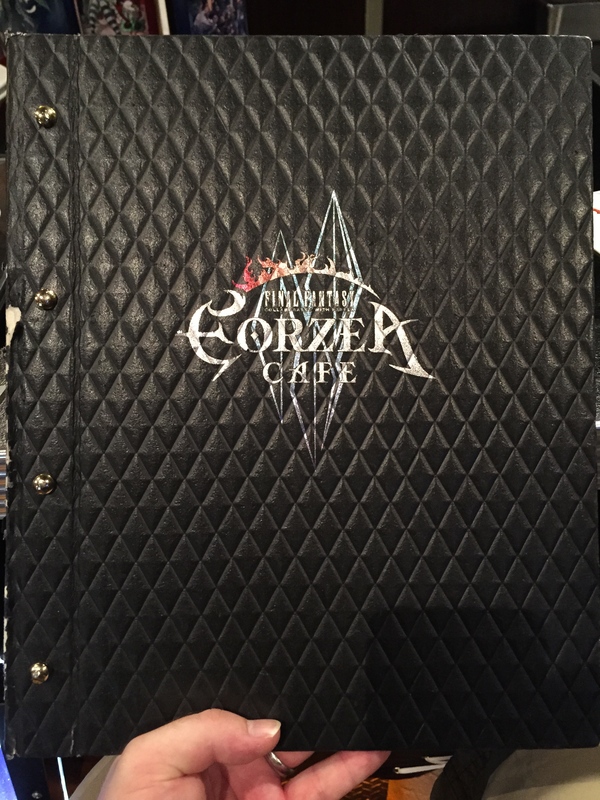 And a few hours and Eorzea cafe was well-spent. EAT THE PRESS - Don't Read It! Your photos are so clear and crisp. It gives me the impression that I am there, sharing this experience. Thanks. Do you know which convenient store to pick up the tickets? Is there a google map of where to pick up the ticket after buying them online. I really want to go there…I am a Final Fantasy fan. Thank you for the great article. Hey there, sorry I didn’t see your comment until now. You can get them at Lawson. That’s where I got mine.